THE WOLF MAN US Military onesheet for the 1941 UNIVERSAL horror classic. 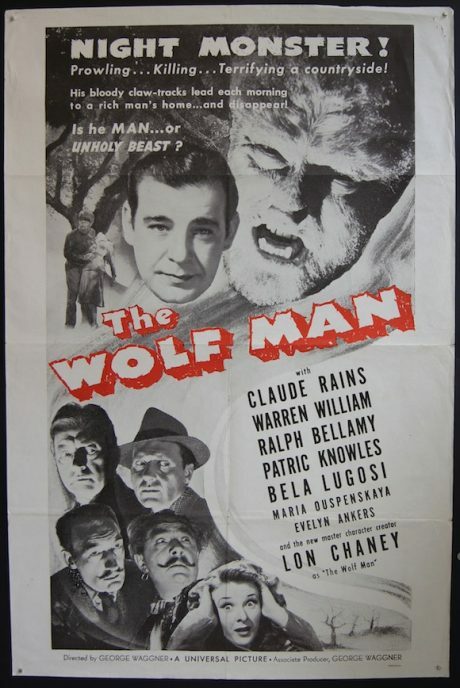 Lon Chaney Jr. as The Wolfman with Claude Rains. Evelyn Ankers and Bela Lugosi.